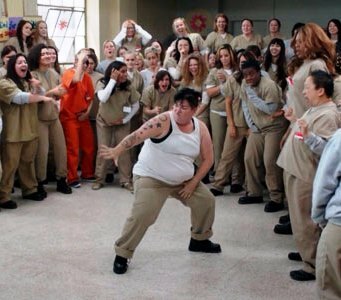 CHICAGO (January 23, 2015) – Illinois native Lea DeLaria, a groundbreaking performer who was the first out comedian to appear on a late-night talk show and whose numerous stage and screen appearances include her standout role of prison inmate Big Boo in the hit Netflix series “Orange is the New Black,” will be honored with the Equality Illinois Freedom Award. 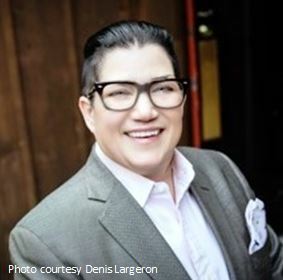 “Lea DeLaria is a cutting-edge performer who has used her talent to entertain and enlighten millions of Americans,” said Bernard Cherkasov, CEO of Equality Illinois, the state’s oldest and largest advocacy organization for lesbian, gay, bisexual and transgender Illinoisans. “Her career demonstrates courage and leadership, whether she is sharing our community’s stories with humor or bringing humanity to her stage and screen roles. We are delighted to be recognizing Lea DeLaria with the Equality Illinois Freedom Award,” Cherkasov said. DeLaria, born and raised in Belleville, Illinois, will accept the award at the 2015 Equality Illinois Gala, whose theme is “love is love is love,” on Saturday, February 14, in the Hilton Chicago. A jazz singer, DeLaria has five records out on the Warner Jazz and Classics label, and her book “Lea’s Book of Rules for the World” is in its third printing at Bantam Doubleday and Dell. The 2015 Equality Illinois Gala, chaired by Mariterese and Patrick Balthrop, begins at 6 PM on Valentine’s Day, Saturday, February 14, 2015, in the Hilton Chicago, 720 S. Michigan Avenue, with cocktails and the silent auction of luxury items and fun experiences in the Grand Ballroom. At 8 PM, the expected 1,400 guests move into the International Ballroom for the gourmet dinner and program, followed at 10 PM by dancing till midnight. It was previously announced that another recipient of the 2015 Equality Illinois Freedom Award at the gala will be the TransLife Center of Chicago House. Grosvenor Capital Management and its Chief Executive Officer Michael Sacks will also be recognized with the Equality Illinois Business Leadership Award.